We continue to recruit players, coaches and Buddies for the program, given its success so far. In our first seven seasons, we've served a combined 320 athletes - and the program has plenty of room to grow! Again, we're actively looking for buddies and coaches, and we continue to develop the program and its activities to further the success of our youth athletes, so if you know anyone with particular expertise, or just interest, please contact us. If you want more information beyond what we provide throughout the website please contact the Program Director at [email protected]. If you are interested in coaching or volunteering as a Buddy, please see the Coaches or Buddy sections of the TOPS Program for more information. If you know of anyone interested in sponsoring the program, please let us know, and above all else, spread the word!!! its 8th Season This Fall! TOPSoccer (The Outreach Program for Soccer) is a community based program that is designed to meet the needs of children and young adults that have physical and/or intellectual disabilities. The program is geared towards player development rather than to competition, providing soccer training and recreation for children between the ages of four (4) and nineteen(19) years old. NRYSA begins its eighth season of TOPS in the fall of 2018 as we continue to support the United States Youth Soccer Association's mission statement as it applies to disabled young athletes. USYSA’s motto promotes soccer as the “Game for all Kids,” and this program allows us to include this largely overlooked segment of our population in our already established town program. 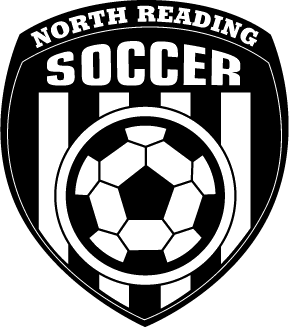 What can you expect from NRYS TOPSoccer as a parent? Field size and activities will be determined based upon the physical and mental abilities of the participants. Games and activities will be adapted in ways that ensure your child will learn at his/her own pace. The program will improve the overall fitness, self-esteem and social skill of your child. Player Registration is $25.00. Scholarships are available. Each child registered to participate will receive a uniform shirt, socks, and for each first-time participant, a new soccer ball. Shin pads are required, as well as soccer cleats or sneakers. For safety reasons, no jewelry will be allowed with the exception of medic alert tags. 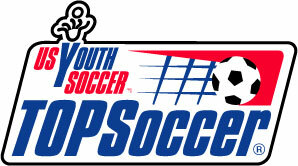 Players must register and complete all necessary medical forms and waivers as required by NRYSA in order to participate. The nominal fee to participate in the program covers the cost of uniform shirt, socks, ball and certain special equipment. 4. Select the TOPS program when options are presented. There is additional information specific to TOPS here that you must complete. 5. Finish the checkout process and you’re on your way!! TOPS is run by a group of high school volunteers and our board director, overseen by the Board of Directors of NRYSA, and relies on adult coaches and Buddies. Buddies are youth volunteers, Middle and/or High School age. These volunteers act as enablers of the game for the players and work to insure their safety as well. For additional info on other volunteer positions we are looking to fill, contact us at [email protected].